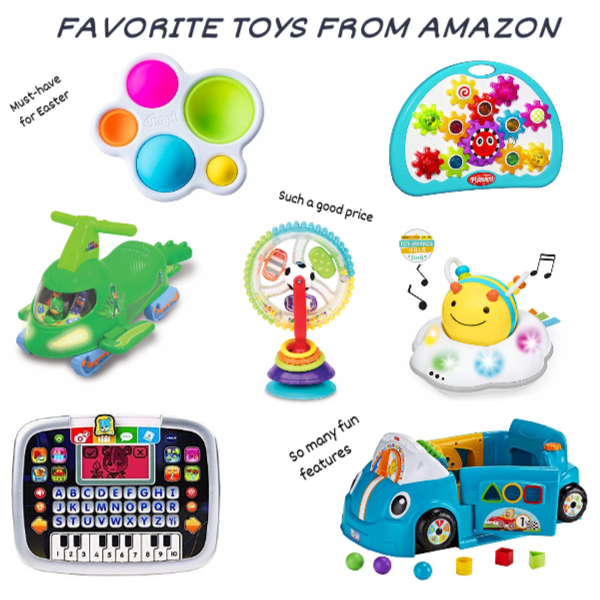 Easter is a week away, so I thought this would be the perfect to time to share a few of our favorite Amazon toy purchases. Some of these toys are new and a few are ones we've had for months and Winston still plays with. Perfect additions to any Easter basket. Winston plays with this PJ Masks Ride everyday! Grandma gifted this to him before he could walk, so he played with the buttons and loved the sounds and slowly grew into riding it. Then, we bought one for one of his best friends. It's a really fun ride that comes in multiple colors. 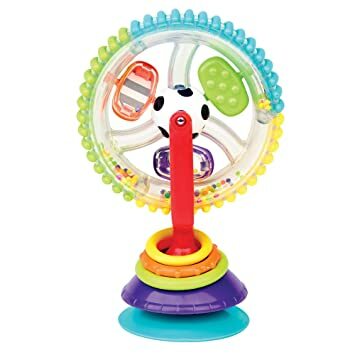 We keep this Wonder Wheel in the car and take it with us out to dinner to keep Winston entertained. Our friends with a much smaller baby had this one time we were out, and Winston zeroed in, so for $6 it was a no brainer. It makes noise but not a lot, spins in several spots and has a suction cup to stick to tables. Such a great price point. We bought the Explore & More Follow-Me Bee when Winston started to crawl and he'd chased it around so much. Now he's almost two and plays with it even more than before, sometimes just turning it on to hear the music. We have to take this one and hide it away sometimes, because he'd listen to the tune all day long. This VTech Little Apps Tablet is another favorite we take on the go or keep in the toy bin. There are so many features and buttons to keep your little one busy. His favorite is the piano keys. 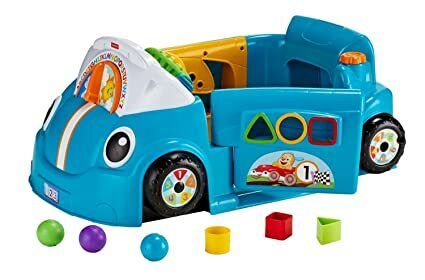 We don't actually own this Laugh & Learn Crawl Car, but this is one of Winston's favorite toy to play with at his friend's house. He loves the interactive dashboard with lights and toys. Comes in pink, too! 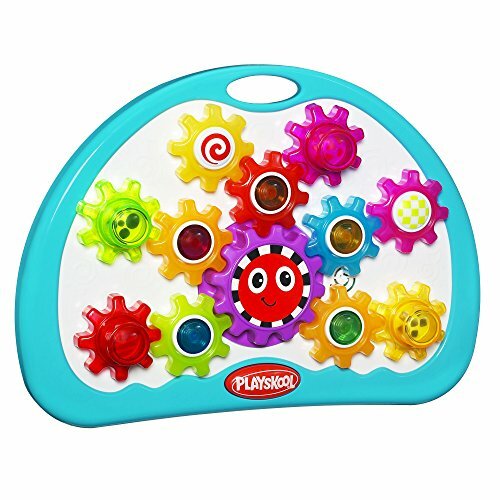 This Explore & Grow Busy Gears toy will keep your kiddos entertained for a long time. Winston loves the music, and of course the lights. This Dimpl toy is in Winston's Easter basket ready to go. It sold out during Christmas time, so I snagged it when it came back in stock. As an adult, a lot of these toys look like physical versions of apps I have on my phone which is kinda a funny. I'll keep these in mind for future baby showers I attend. My young niece and nephews would love all of this. I believe their favorite would be the PJ mask Ride.